Harman Kardon is a venerable brand that more recently has became a subsidiary of Samsung. In New Zealand they’re known for their AV/Hi-Fi and car audio gear, but since joining up with Samsung, they’ve broadened into all manner of gear, including the rather outstanding Onyx Studio Bluetooth speaker. 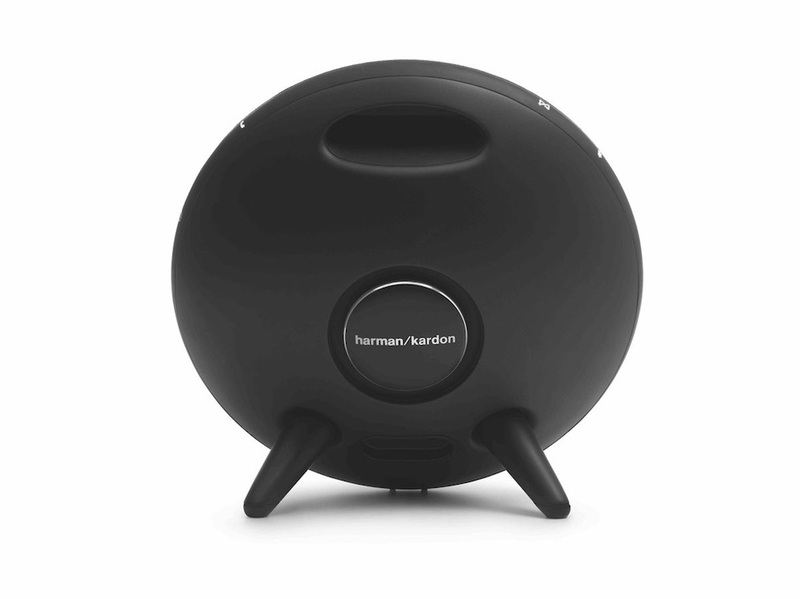 It’s Harmon Kardon’s flagship Bluetooth speaker so I was itching to get my hands on one to put through its paces. The Bluetooth speaker market is a tough place.with competition from a multitude of players including big names like Logitech, Bose, Sony, Sonos, Panasonic as well as Google and Amazon. 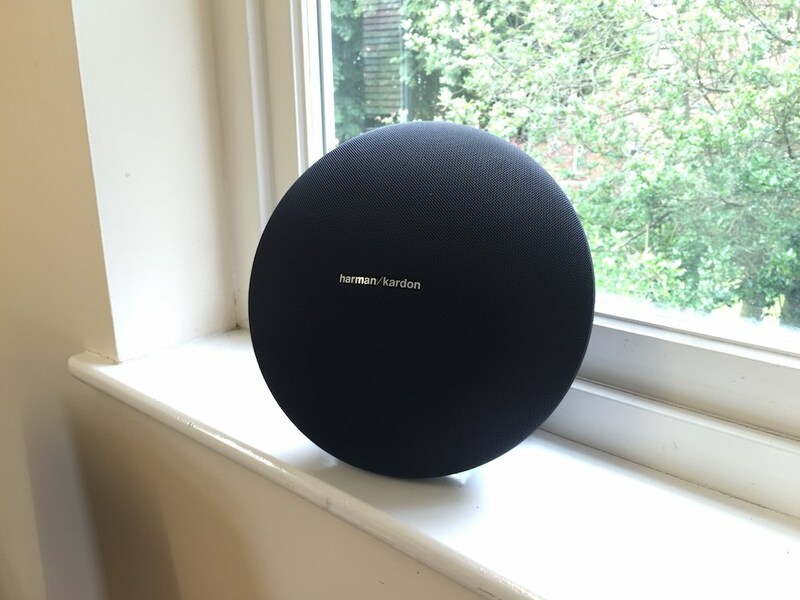 Design-wise, Harman Kardon have kept things simple and clean with the Onyx Studio. Where competing products get slathered with LEDS, the Onyx Studio offers zen-like simplicity. It’ll fit into most rooms. From an audio standpoint the Onyx Studio, which resembles a dinner plate propped up by legs on its rear, acquitted itself well. The drivers powering the Onyx are a little curved which helps deliver a dispersed sound field. That said, Harmon Kardon aren’t aiming for a 360-degree sound field. Where the Onyx stands out from competitors is in the bass department. Drums and bass guitars sound fat and there’s some real thump delivered. Cranking up the Onyx on a bass-heavy track was also a pleasant surprise – its audio stayed clean (and loud!) whilst delivering sound I felt. Mids and highs are crisp and accurate. Many competitors use smaller drivers. This often shows up in the form of a hole between highs, lows and mids. Not so with the Onyx which had no noticeable audio holes. It felt accurate, controlled, balanced and capable. The only distortion I noticed was with Salmonella Dub’s calming of the drunken monkey. Its grungy recording already has plenty of distortion baked in. Being a Bluetooth speaker, battery life is also a big consideration. I wrung a very reasonable eight hours with playback at medium volumes, and a little less when it got cranked up. There’s also an integrated mic, with noise and echo cancellation which enables the Onyx Studio to act as a decent speaker phone. Most callers couldn’t tell I was chatting to them on a speaker phone. Siri/Google Assistant controls are also present. Harmon Kardon focused on audio quality instead of adding rarely used features. This isn’t to say that the Onyx Studio is lacking in features, but the features which did get included add to its usability. This is a good thing. One feature which isn’t immediately obvious is Harmon Kardon Connect +. 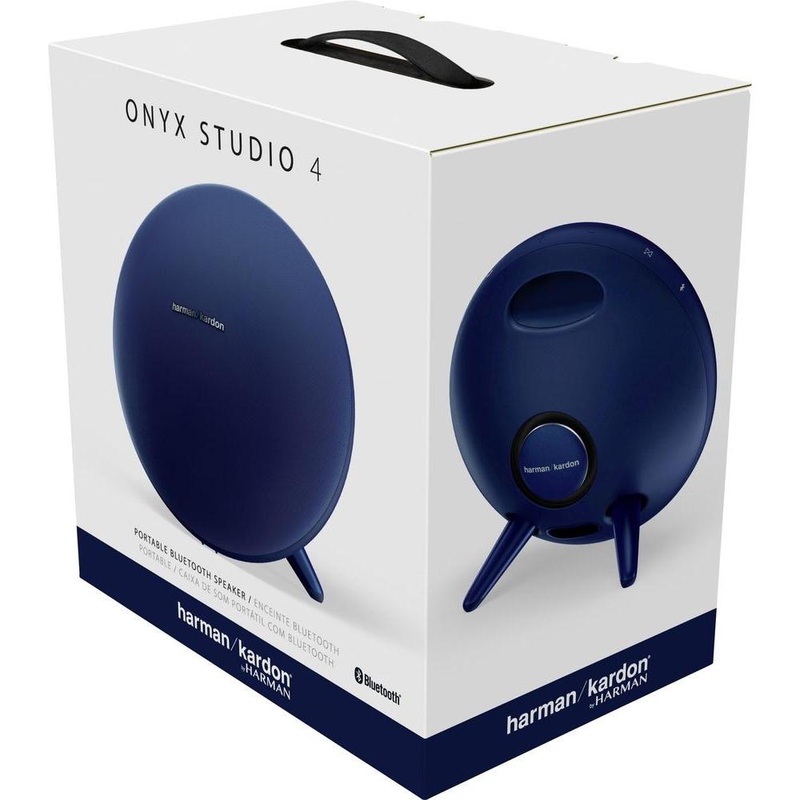 It allows the Onyx Studio to pair up with two Bluetooth devices, so you can take turns throwing tunes at it. The Harmon Kardon Connect+ app can connect to 100 compatible speakers. Another useful addition to the Onyx Studio is an Aux port. Phones can be hard wired as can media players. It worked with Chromecast audio too.